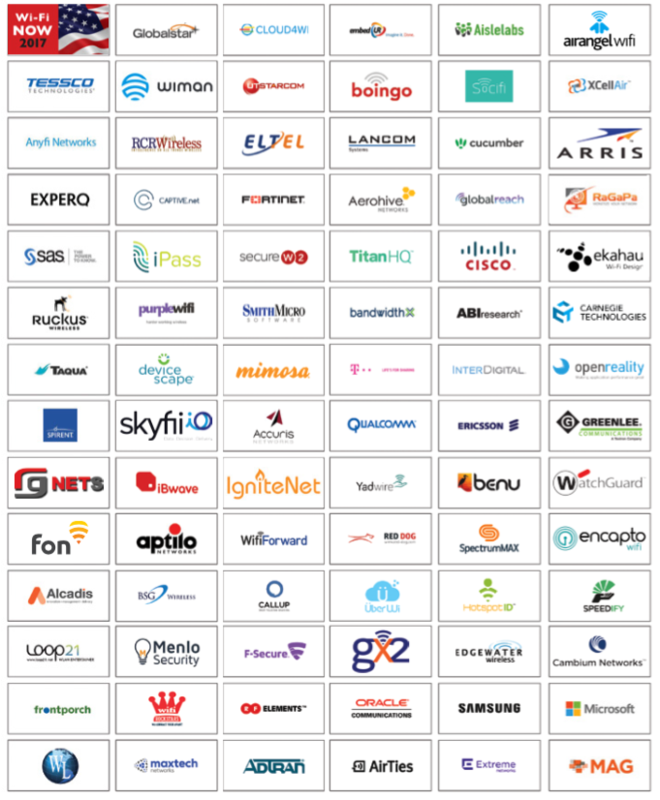 The history of the Wi-Fi NOW event series is remarkable: In just 2 years, more than 80 leading Wi-Fi companies have chosen to partner with us. And we expect many more to come onboard and join us for our Washington DC event. Above: Sponsors & exhibitors from previous Wi-Fi NOW & other events managed & directed by Claus Hetting.